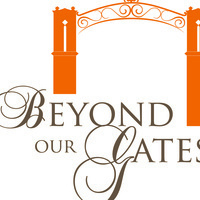 Kevin Slattery of the ground-breaking early-literacy program “Providence Talks” will be the keynote speaker the Beyond Our Gates Annual Dialogue the morning of Friday, Oct. 27, at the DeRosa University Center on the Stockton Campus. Dr. Maggie Park of San Joaquin County Public Health Services will give the “Community Response” talk that day. A buffet breakfast will be served before the program. Providence Talks has received national and international acclaim for the work it has done in helping bridge the “30 million word gap” faced by many children from low-income households. Buffet breakfast will be served starting at 8 a.m. and the dialogue program will start at 9. There is no admission charge, but attendees are asked to register under Eventbrite. If you’re interested in attending, please register by Oct. 20 on the following Eventbrite link. For more information on the event, contact Pacific Community Relations Director Mike Klocke at 209.946.3134 or mklocke@pacific.edu.